We are very proud of the invitation to the eclectic and in its topic unique Architectones Festival in the ambiene of Claude Nicolas Ledoux’ Royal Saltworks. 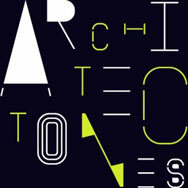 The Festival is dedicated to sound and architecture in the context of artistic practice. Sam and Dietmar will present an overview of the works of Stadtmusik in a two hour screening and discussion session.